Gold is the precious metal used for coinage, jewellery and for other arts from prehistoric times. Especially in India Gold is treated as a sacred thing and even holds strong religious significance in worshiping Gold as a religious icon of Lakshmi, goodness of wealth. So many people prefer to have gold jewellery in their homes as a symbol of wealth and honor. With the increase in the use of the gold ornaments, currently India holds first position in women’s jewellery market in the world. 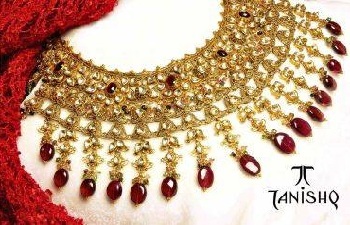 Even it is the leading exporter of Gold jewellery to the international market. India holds world’s reputation since from the historic times as a best place for the precious gems and diamonds. Following are the list of best gold jewelry brands that offer wide collection of gold ornaments in wide range of models ranging from ethnic to modern wear. It is one of the leading gold jewellery brands which is a joint venture between Gitanjali, India’s largest jewellery retailer and Damas, Middle East largest Gold retailer. It holds many branches across 400 towns across India and offers wide range of admirable collection ranging from the daily ware to the traditional bridal jewellery and many more. It is one of the top five brands in the branded jewellery segment and only brand with five equally strong and well defined sub brands like Lamhe, Glitterati, Vivaaha, Soltaire and DER. It offers wide range of collection for men, women and kids and includes trained professional staff to cater the needs of the customers. It is one among the top 5 leading Gold jewellery retailer groups in the world. It offers best designs of jewellery ranging from the traditional wear to the fashionable wear for all occasions. It offers India’s finest bridal jewellery collection with elegant designs and models that perfectly suits a girl. Malabar offers Gold and Diamonds which are certified by international agencies like International Gemological Institute (IGI), Platinum Guild International (PGI). It stands for the purity and quality products to satisfy the customers. It offers collection for men, women and kids along with the occasional wear ranging from regular to party wear. 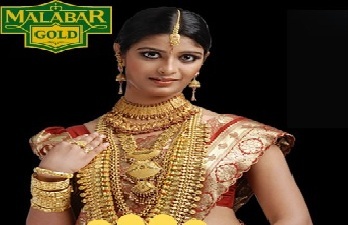 It is one of the leading entrepreneurs of Gold jewellery from South India. It is based in Thrissur, Kerala and holds many branches over three different states. It offers wide range of models including pendents, necklace sets, necklaces, ear rings, rings and bracelets ranging from ethnic wear to trendy wear with best quality and purity. Jos allukas represents India’s premier jewellery group that has been trading over 50 years and cares about the customer’s needs and offer trained professional staff to cater the needs of them. 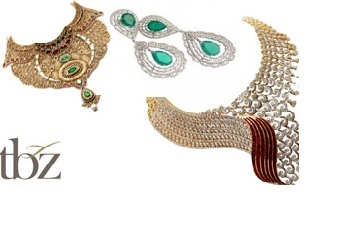 It offers top collections of diamond’s, hallmark jewellery and PGI certificated platinum ornaments. It is shortly called as TBZ which is a Shrikanth Zaveri group. It offers wide range of ornaments ranging from the ethnic wear to fashionable wear that stands as a best choice for every occasion. It holds many branches across India with highly trained professional who ensures to completely satisfy the customers with wide range of best quality products. TBZ is best known for the wedding collection that offers wide range of divine pieces with elegantly designed with the diamonds that is desired by everyone. It also offers wide range of 18Kt gold watches that perfectly fits every girl. TBZ is the first brand to implement buy back guarantee on gold jewellery and is the first to promote the concept of light weight jewellery. It is one of the top jewellery brand of India which is a division of Titan Company Limited. It is promoted by Tata group and offers wide designs of ornaments for all occasions from wedding to everyday wear that holds traditional harams, mangala sutras and thalis to more fashionable ear rings, chains, bracelets and rings. 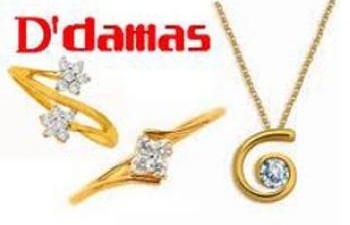 It offers unique designs in Pure 22kt gold to the users and also offers wide baby range collection, working woman with high fashionable varieties, men’s wear, teen’s collection and regional specific designs. Even it offers Titan gold watches to men and women with wide range of models. 24kt Gold coins are available in Tanishq with images of Ganesha, Laxmi, Balaji, Saibaba, Allah, Om, Ayyappa, Cross and many more. It is known for its purity and holds Karat meter to check the purity of the Gold.